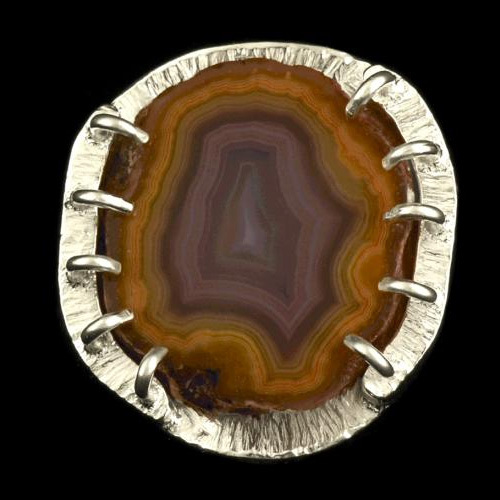 Beautiful and uncommon find, the Laguna Agate honours the Native American Goddess of Change. 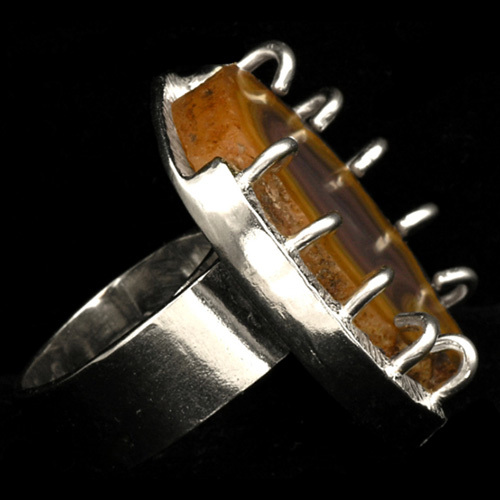 The beautiful stone is held in a prong setting in sterling silver. Wide, comfortableband adjusts to fit sizes 5.5 to 7.0 One-of-a-kind.